City Pass Da Lat is a place that is not only located conveniently, but will also have you feeling many of the comforts of your own home. It is only a 13 minute walk to the city center, the lake, the night market, and other popular spots in the city. The homestay is right next to the small river that runs through town, and provides a really beautiful view of the city. There are plenty of spots right down the street to eat delicious traditional Vietnamese cuisines, vegetarian cuisines, or even Western cuisines. The friendly staff can provide transportation to and from the bus station, and provide information/bookings for many of the activities around the area including canyoning, motorbike rentals, trekking, easy-rider tours, and more. The staff is even happy to join you exploring the area, going out in the evenings, or cooking dinner all together, right here in the enormous City Pass kitchen. You are always welcome to use the common area to play your own music, watch movies, and just hang out with friends (and our pet hamster, Mimi!). You will be comfortable, happy, and surrounded by good people on your stay here at City Pass Da Lat. 1. Check-in Time: from 12 PM (Check-in early available). 2. Check-out Time: until 12 noon (Late check-out available). 3. Payment: Cash is welcomed upon arrival. Amazing hostel, really friendly staff. Definitely I'll be back! Ngu is one of the nicest, most helpful hosts ever. He speaks perfect English, has great recommendations for cheap local food, some of which delivers for free! The dorm room is large and has good wifi reaching it. The communal area has really comfy sofas with a big tv and speakers. The hostel also has its own kitchen which is kept clean and tidy, a nice chance to cook your own food with local market ingredients. Buses, bikes and canyon tours can all be booked at the hostel also. A must stay!! I cannot recommend this place enough. If you're staying in Dalat, you MUST stay here! Ngu is one of the friendliest people I have met in all of Vietnam. We truly made a friend when staying here - you have to meet this guy! The place has its own kitchen, which is kept clean and tidy. Breakfast is included in the incredible price. Beds are comfy. Showers are warm. Speakers for music are incred. This place is 10/10, and the price is unbelievable. STAY HERE IF YOU CAN! I enjoyed my stay in City Pass. The owner Noo is a very kind and helpful. He's doing his best to make guests happy. You cook your own breakfast with 2 eggs and a fresh bread. The wifi is working well. I can recommend this place to everyone. Had a very nice stay here. Definitely not a party hostel but a nice quiet and clean place to stay. Very nice staff even though there was a pretty big language barrier (thank goodness for google translate). Family run business that made you feel welcome. 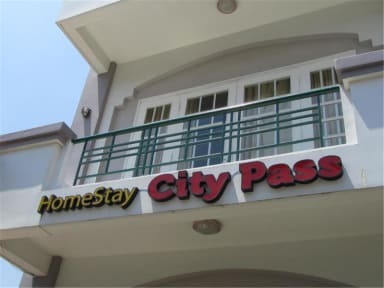 I only stayed at city pass for one night. The bedroom and bathroom set up was fine, all clean and comfortable, and I got a pretty good nights sleep. The lady who checked me in and out was also very personable. 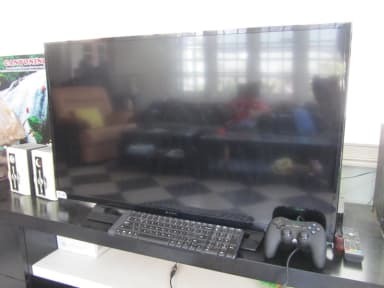 The only slightly off-putting aspect for me was the common area - it was basically a living room where a bunch of guys were hanging out and smoking, and being quite loud until about 11pm. For some people that could be ideal, but it wasn't for me. Lovely place that was a bit out of the way. Cheap and clean but there were very few other guests there when we were there. If you want to relax for a day or two this is a good choice. The woman working there was friendly and helpful but we had to communicate through google translate. We couldn't get our room because there was overbooking with hostelworld but the staff were nice enough to let us sleep on the couch since we arrived late at night. Location a bit far from the main sights but if you have a motorbike it's no problem!